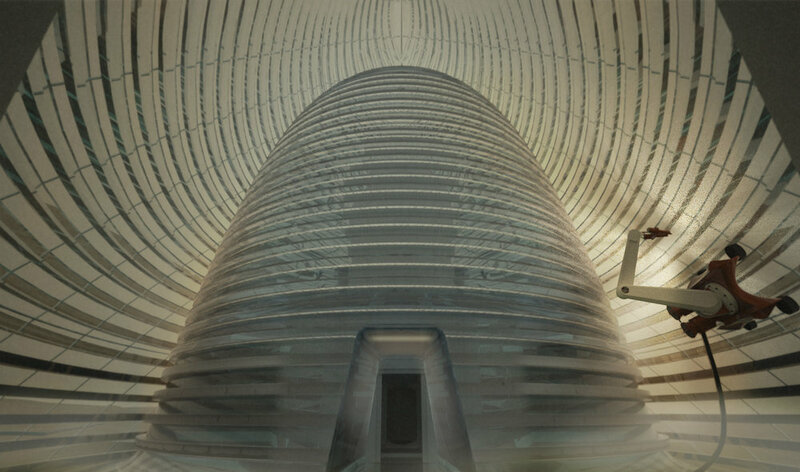 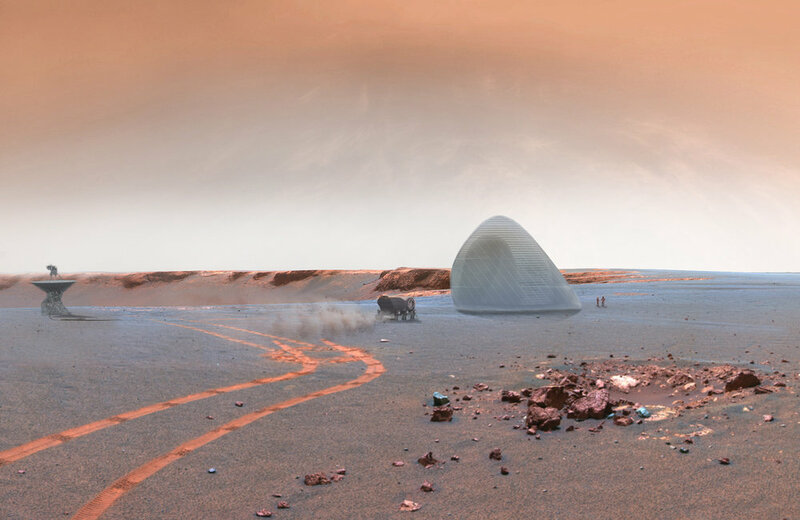 SEArch+ (Space Exploration Architecture) and Clouds AO, an architecture and space research collective, were awarded the top prize in the NASA and America Makes sponsored competition for a 3D Printed Habitat Challenge for Mars. 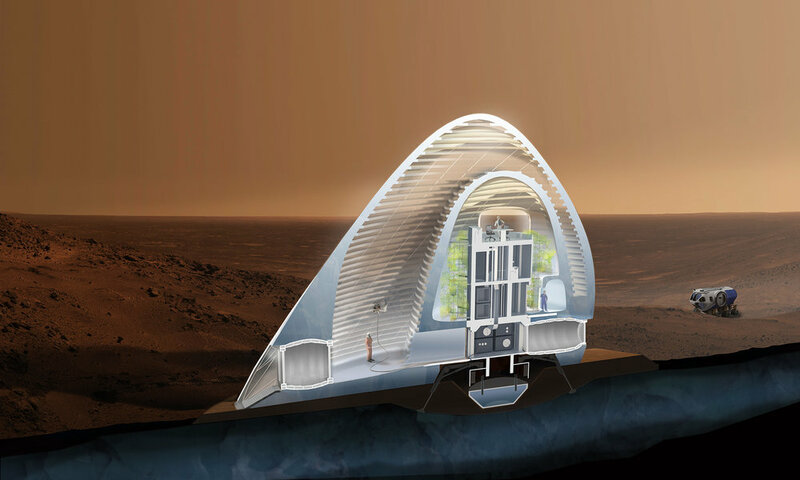 The competition asked teams to design a habitat for four crew members while highlighting 3D printing techniques and using material indigenous to Mars. 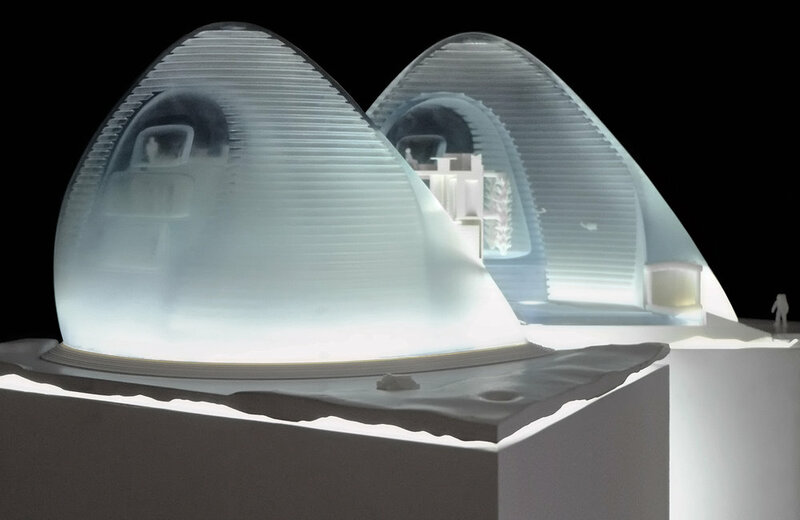 Recognizing that water is the building block to life, the team used a ‘follow the water’ approach to conceptualize, site and construct their design.